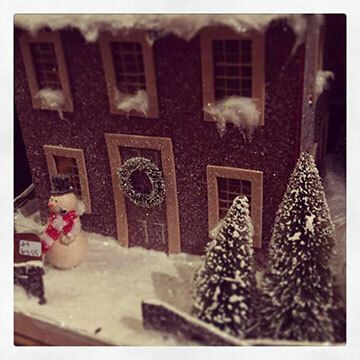 Photos courtesy of AroundMainLine.com’s Instagram @aroundmainline. Fabulous Folks annual holiday Open House Weekend starts Thursday, November 5th and runs through Sunday, November 8th. The barn is running a festive Instagram contest @FabulousFolksPA for one lucky shopper who creatively captures their experience. This giveaway is now closed. Thank you to everyone who participated! Congratulations to our winner Abbe L.
Karen Smoyer’s charming Montgomery County shop, Fabulous Folks, is most definitely fabulous! 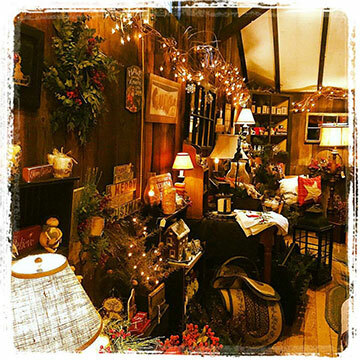 Situated on the side of a busy Route 363 just outside of downtown Skippack, the barn is bursting with eclectic, charming home décor and holiday accents. Fabulous Folks has been a family favorite of AroundMainLine.com for many years and we are so thrilled to share one of Montgomery County’s best kept secrets with all of you! Starting Thursday, November 5th, Smoyer will kick off her popular annual four-day holiday open house with a 10% discount on all purchases. New this year is a cool Instagram contest for one lucky shopper. The most creative Instagram photo that tags @FabulousFolksPA during their shopping experience this weekend will win a beautiful holiday candle from Lancaster’s Herbal Star Candles. And, to celebrate all this fabulous festiveness we are giving away a $100 gift certificate to one lucky AroundMainLine.com reader. Want to Enter This Fun, Fall Giveaway? Comment below by 9pm on Sunday, November 8th, 2015. One lucky winner will be chosen by random.org. I love Fabulous Folks. This shop is so warm and cozy and I always find something amazing to bring home. And the ladies that work there are so kind. Best little shop around! Love this store and would love to be able to buy a few new holiday decorations!!! Hope to win! Can’t wait to shop! This is the *only* store for everything “holiday!” This establishment is a little slice of heaven in Worcester Township. Plus, they carry the most winderfully-scented candles, hands down. I find myself stopping in every other week…i’m obsessed :-) Congrats Karen! I will be there this weekend! Love this store! Love this place. Was there today. Beautifully decorated for Christmas. Hoping to win!! Can’t wait to see all the Christmas season gifts! Fabulous Folks is my favorite place to shop for gifts and decor for my home!!! Beautiful store! I have bought many a gifts and home decor at Fabulous Folks. Their knack for decorating always inspires me! Love it there! I have been going to Fabulous Folks for years, great place to shop!!! This would be the best Christmas gift ever! Please, please, please pick me!!! Heading over today to check out the holiday treasures and the Herbal Star Candles – Best candles ever made!! Fabulous Folks is my go to shop for holiday decor! Love stopping in when I am in the area. Beautiful store! Great gifts for the holidays! Always have fun exploring this store. Love the decorating ideas and one of a kind gifts! Can’t wait to see what you have this weekend. great job! Congrats! Was there today, at one of my happy places. Success in small business is almost unheard of in today’s day and age. Karen is “rockin’ it”, the merchandise and displays are outstanding! then there is my Karen, love her to death! new to the area and stumbled upon this great store one day – would love to win! Can’t wait to come back in for the holiday decor! Can’t wait to check it out. Thanks, AroundMainLine.com! You always find the best spots! Love discovering a new place for unique finds! One of my all time favorite stores! Will be stopping in a lot over the next two months! Looks like an incredible store! Cant wait to get there to decorate my house! I love fabulous folks! I always find great decorating ideas around the holidays. Adorable store with so much to offer.